That’s how many miles I drove on the latest, and unfortunately last, leg of this journey. 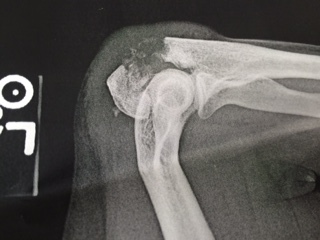 In Albert Lea, Minnesota, Rebecca crashed her bike and broke her elbow. She’s going to need surgery. I put her on a plane for home in Des Moines and drove to Moraine View State Park in Illinois for the night, then drove on home yesterday. So that closes out this edition of this travelblog. We’ll resume the trek to Alaska next spring. Sorry about the break, Rebecca. Let me know if I can do anything to help out. So sorry to hear of your accident Rebecca. What a major bummer.